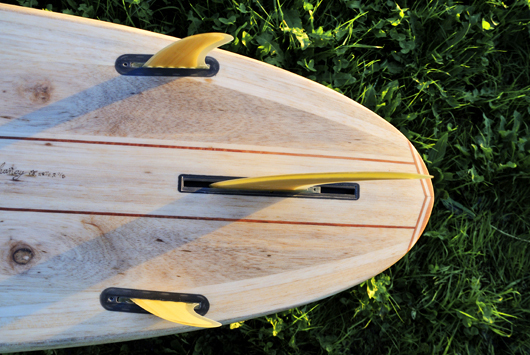 You are looking for high paddle comfort, wave catching ability and a stable surfboard? But you find a Longboard too bulky? Then we have the right one for you: The Fegg. 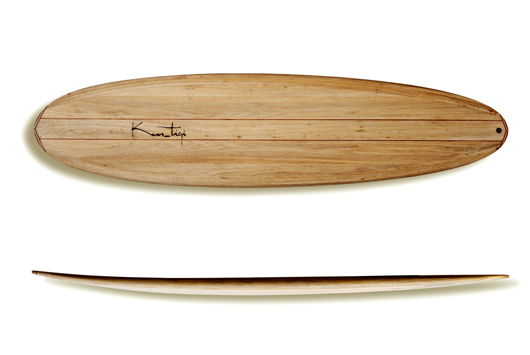 The comfortable travel length with a lot of volume offers loads of fun in small to shoulder high waves. The wide round tail permits enough manoeuvrability without sacrificing stability and planing ability. By keeping the rocker relatively flat it keeps its speed and helps to go through flat sections. 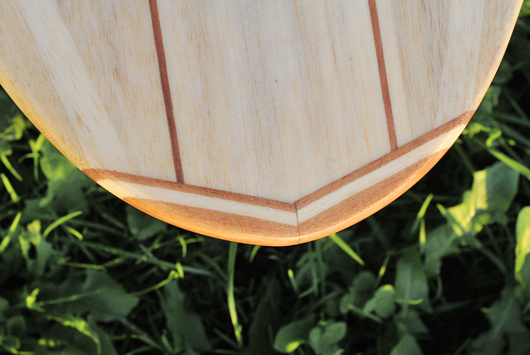 The Fegg is made in hollow Balsa wood construction and reinforced with 2 hardwood and tail and nose reinforcements. The center fin box with 2 Future Side fin boxes offers many possible fin setups: Singlefin, 2+1 or Thruster: It’s your choice.